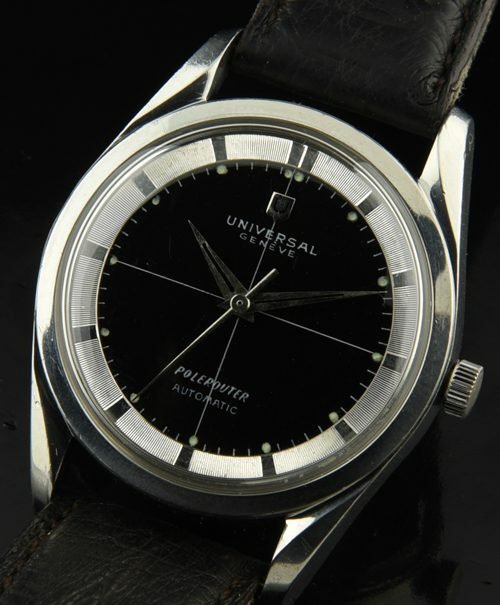 This UNIVERSAL GENEVE POLEROUTER dates to the 1960’s and displays overall very fine condition. The 34mm. stainless steel case having inwardly curved (Bombe) style lugs and dodecagonal screw back is without any major dings or scratches-just some usual tool marks on the rear. The two-tone “Tuxedo style” dial was restored professionally many years ago. The original Luminous Dauphine style hands accentuate that 60’s look. The fine automatic 28 JEWEL MICRO-ROTOR UNIVERSAL GENEVE movement was just cleaned and is accurately keeping time. 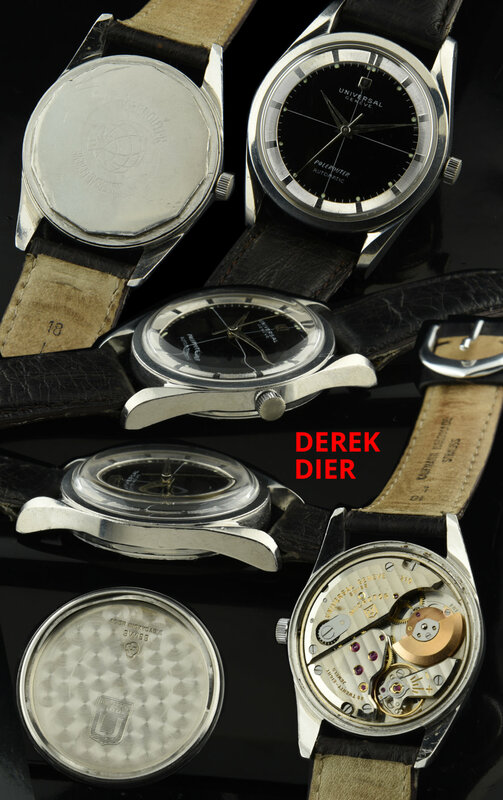 These are very reliable and fine watches.